I recently got the opportunity to speak with Art Agrawal, Co-founder and CEO of YourMechanic. YourMechanic is an innovative on-demand platform that helps consumers repair their cars. Compared with traditional repair shops, YourMechanic pays mechanics more, charges consumers less, and the mechanics meet consumers wherever they are. In this interview, Art and I discuss how the company works and his entrepreneurial journey. StartupLowdown: Welcome Art. Can you talk about why you originally started YourMechanic? Art: I started YourMechanic to solve my own pain point. Growing up in India, I was never around cars and hence, I did not learn anything about cars. Ever since I moved to the US and bought my first car, I have always hated the process of dealing with car problems (you never know if the shops are charging you a fair price or selling you poor quality parts, and it’s super inconvenient and frustrating in general). 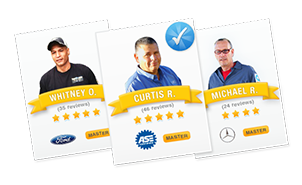 Our mission is to build the most trusted and convenient car repair service. StartupLowdown: Your business model is very innovative, and I believe it could revolutionize the car repair industry. Tell us a little more about the model. What type of repair problems are you able to solve for customers? Art: We focus on car maintenance and offer 150+ services. We offer all scheduled maintenance as recommended by the manufacturer (oil changes, brakes, spark plugs, timing belts, etc). We also offer basic repairs for times when your check engine is light on, your car is not starting, etc. You can see the list of services here: http://www.yourmechanic.com/services. By providing these services at the customer’s home or office, we eliminate much of the inherent hassle upfront. Other features like convenient online scheduling, smart routing of parts, and great support for mechanics and customers every step of the way, make the whole experience far superior to the traditional shop-based approach. StartupLowdown: How are you able to diagnose problems and provide accurate quotes without seeing the cars? Art: Our main focus is car maintenance. We don’t provide quotes for car problems without diagnosing in person. That’s the only way to do it honestly. If your car is not starting, we send a mechanic to diagnose your car first, and then give you the quote for the necessary repairs. Customers who book a repair with us get the diagnostic free. All mechanics go through an extensive screening process. Users can also view ratings and reviews from real customers. StartupLowdown: Your company saves both consumers and mechanics money. How does that work? Art: Since we don’t have the infrastructure costs that shops and dealers do, we are able to pass the savings to consumers. We also have tremendous economies of scale. We can go from 10 mechanics to 1,000 mechanics without significantly increasing our overhead (because of technology). This allows us to provide very competitive pricing. An average mechanic makes less than $15 an hour in a shop (the average consumer pays $80-$90 an hour + 100% markup on parts in a shop or dealership). Our mechanics start at $40 an hour. We charge customers less and pay mechanics more because of our lower operating costs and economies of scale. StartupLowdown: A lot of our readers are aspiring entrepreneurs. Tell us about your entrepreneurial journey. What have been some of the greatest successes you’ve had with YourMechanic and what have been the biggest challenges you’ve gone through to get to where you are now? Art: Being a first time entrepreneur and building a complex business like YourMechanic has been hard in many ways. Fundraising was particularly hard early on. Most people didn’t think the model would work. (Don’t you need big machines and lifts to work on a car? This is the most common question I used to get.) Also, most VCs drive expensive newer cars and they are used to going to their dealers. Some didn’t fully appreciate the market opportunity for servicing out-of-warranty cars. If we weren’t part of YC, I don’t think we would have been able to raise money and build this business. Joining YC was probably the single best thing that happened to me (other than meeting my current co-founder when I moved to CA — he is the real brains responsible for making things happen!). StartupLowdown: Anything you can share around recent traction or growth? Art: We are in 21 major markets across the US and growing fast! We took our time growing the business in the Bay Area and improving the service. At the end of 2014 we are now in 21 major markets and will continue to launch new cities throughout 2015. StartupLowdown: What are your priorities for YourMechanic both near-term and long-term? Art: We are currently focused on growth and scaling our business. We have a clear product-market fit and now it’s all about getting market share. StartupLowown: How do you see the car repair industry and mobile on-demand services evolving in the future? Art: The car repair industry is incredibly antiquated. I think modern technology is going to play a huge part in how car repair service is delivered in the future. Of course, I’m biased. But YourMechanic has already shown that it can offer a better, faster and more affordable service to consumers, while helping mechanics make a much better living. On-demand service for car repair is a perfect fit because people are so dependant on their cars. Just by offering a scheduled time for the job and coming to the customer, we instantly eliminate a lot of hassle and downtime. We can then provide upcoming maintenance alerts, easy appointment scheduling, and online payments with a few taps or clicks. The end result is a dramaticlly better experience for the customer. StartupLowdown: For our readers who are considering using YourMechanic, what would you tell them? StartupLowdown: Art, thanks for joining us! We really enjoyed talking with you, and we’re excited about what’s to come for YourMechanic. If there’s anything we can do to support your team, please let us know!